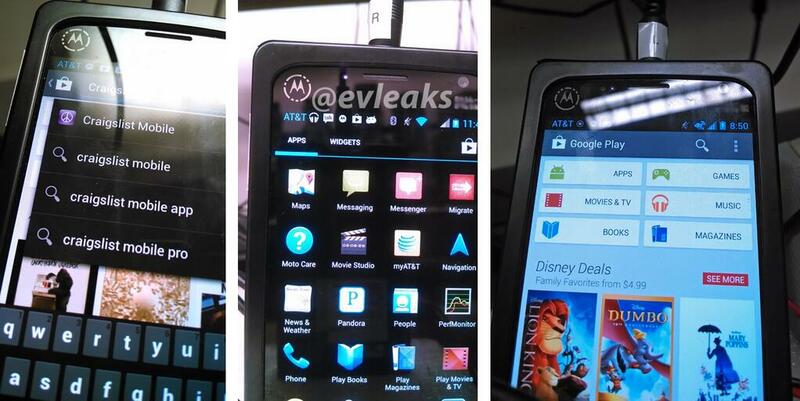 Images just hit Twitter from the @evleaks account, showing a “blackboxed” Motorola device with signs of it headed to AT&T all over. For starters, there is the huge AT&T logo in the notification bar, as well as AT&T’s 4G LTE logo running on top. This device (what we can see of it) does sort of resemble the XT912A that was pictured back in March, but with the black box doing its job of concealing the device’s true form, it’s hard to say. In March, we wrote up three Motorola codenames, each of which that had a chance of landing on AT&T’s network. No specs were known for certain, but one thing that the devices shared in common was that each device ran Android 4.2+. In the shots above, it is apparent that Motorola’s toned-down Blur skin is present on the device, but other than what we can see, it’s hard be certain on any specifics. 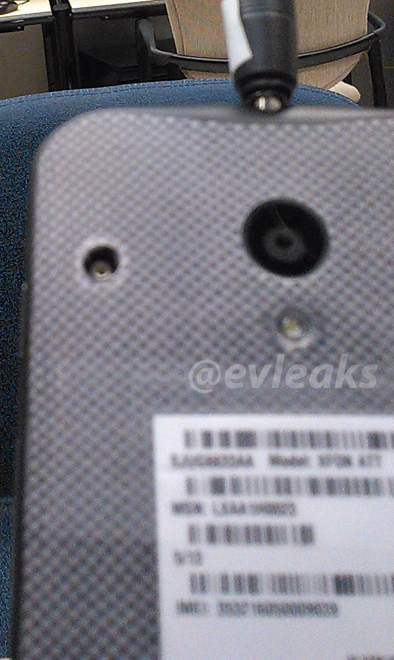 Update: Well, a picture of the back of the device has been uploaded. Information is extremely limited of course, but next to model, it reads “XFON AT&T.” If that doesn’t get the X Phone conspiracist folks going, I don’t know what will.